10am -1pm: The Mad Hatter’s Colourful Crockery: Explore Alice’s Adventures with creative practitioner, Natasha Steer from Creatabot. £4.00 plus booking fee. 1.30- 2.30pm: Alice in Wonderland by Let’s All Dance. A family friendly Alice ballet plus photo opportunity. £8.00 plus booking fee. Ticket includes one cake and drink at the tea party. 2.40-3pm: A ballet movement workshop by Let’s All Dance £2.00 plus booking fee. 3-4pm: The Mad Hatters Tea Party: A life sized installation and community party with cake and tea. 10am -1pm: The Many Different Faces of Alice: Explore Alice’s Adventures through masks with creative practitioners, StrangeFace. £4.00 plus booking fee. 1.30- 2.30pm: Alice in Wonderland by Let’s All Dance. A family friendly Alice ballet plus photo opportunity £7.00 plus booking fee. 10am -1pm: The Mad Hatter’s Tactile Tablecloth: Explore Alice’s Adventures with visual artist Wendy Daws. £4.00 plus booking fee. 11.15am- 1.15pm: Wonderful Wonderland Faces by Like A Magpie Face Painting. £2.00 cash on the day. Join us for the project finale in December. We will be ending the project on a high with music, cake, tea, good friends and lots of smiles. Professional lecturer John Short will give an entertaining talk about the British, French and German soldiers of the First World War and their equipment. This talk will give you an insight to the life of a soldier at war and will include short extracts of songs, poems and original items to see and touch. A free wildlife spectacle for all the family. Watch some of nature’s most beautiful feathered friends in an exciting flying display and have a chance to meet them up close. Watch in awe as Kayla, the famous Bald Eagle, soars above the crowd, then get ready to chuckle at Becks the White-backed Vulture as he gallops across the arena, whilst Honey the Tawny Eagle swoops in to steal his dinner. Basil and Sybil are a pair of Harris Hawks that will hunt a dummy bunny lure being pulled by a member of the public trying to outrun the hawks. Then get ready to duck as Jeffy the 120mph Falcon hurtles across the heads of the crowd, and lastly, look out for the little Barn Owl floating above heads. An opportunity to meet the birds up close and take a picture with them. Price: Please note that additional costs of £2 per person apply for this part of the event (cash only). 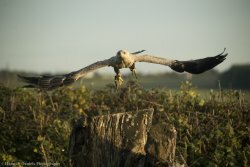 Eagle Heights Wildlife Foundation is one of the UK's largest Bird of Prey Centres. 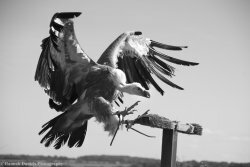 Wildlife includes over 50 species, many of which are now breeding at the centre or can be seen flying in their daily demonstrations. They have also become a wildlife sanctuary and house a variety of animals including, Meerkats, African Servals, Farm Animals, Reptiles, Huskies and more! Welcome to the fifth season of Paint The Town festival, brought to Medway by Lyrici Arts and Battersea Arts Centre. We're back for AUTUMN so save the date and keep checking back for updates. A Medway Adult Education tutor, Nadja Yeates, will demonstrate how to make fabric brooches, corsages, badges or medals out of fabric. Professional lecturer Wilf Lower will give an entertaining talk about popular shows and dramas such as Morecambe & Wise, the Two Ronnies, Terry & June, Till Death Do Us Part, The Good Life, Forsyte Saga, Pennies from Heaven and When the Boat Comes In. It will also focus on music from Top of the Pops to the Last Night of the Proms; and pageantry of Royal events. These were truly television’s ‘Golden Years.’ Find out how many great programmes were made, the situations and ‘characters’ involved, and the astounding and hilarious hidden stories. Never has ‘you wouldn’t believe it’ been more appropriate! This talk includes video clips. 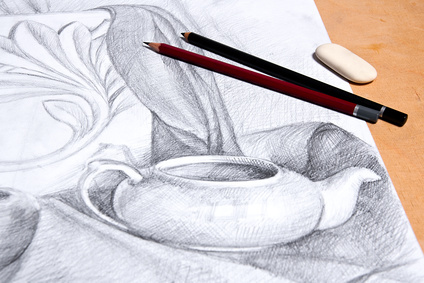 The art tutor will be showing people how to achieve a sketch with step by step instructions for all abilities. Whether you already draw, or always wanted to, you’ll leave with improved drawing skills, a piece of your art and hopefully inspiration to continue to be creative. Great fun for all. Arrange a small arrangement in a decorated jam jar, using seasonal flowers and foliage to create a natural display to enjoy. This session is led by a Medway Adult Education tutor. Professional lecturer Andrew Theobald will give an entertaining talk the baby boom years from 1946 to 1955 in the UK. Experience the post war years through the eyes of families of that era. What was it like to grow up in the post war years? With relative poverty due to the austerity created by national debt from defending the nation, how did we cope? Well we just did! And there was much to be joyful, as you will discover from this talk, which includes popular music from the era. This event is run as part of National Shakespeare Week and the Get Creative Festival 2018. Free entry but advanced booking is advised..
Did you know that Shakespeare's Week falls between the 12-18th March 2018? Ever wondered what it might be like to be a King or Queen? Dreamt about sitting on the Royal Throne? Well dream no more! 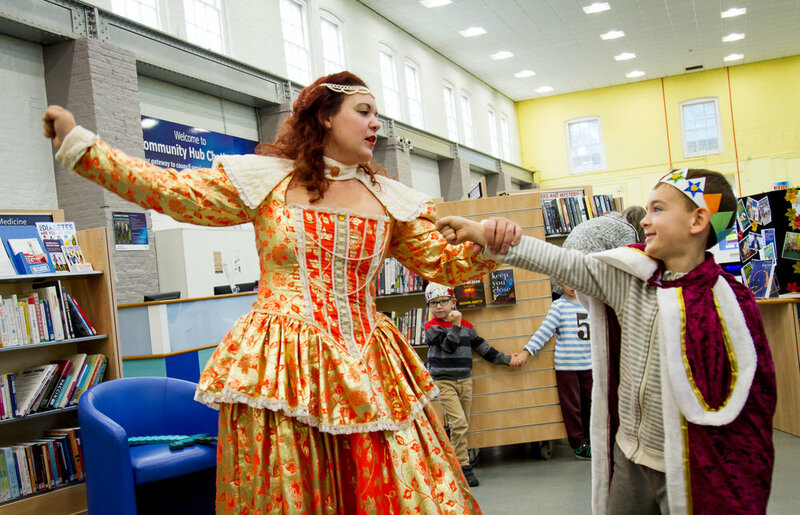 Come and explore Shakespeare's royal characters and delve into the world of what it takes to keep your crown in this highly energetic and interactive 45-minute workshop. Who will be Crowned at the end? Who will conquer? What kind of ruler will you be? Will your subjects bend the knee? Are there even any dragons? This is a free event but booking in advance is advised. Phone 01634 337799 or visit any Medway library. Join us, and artist Wendy Daws, at the launch of this project. We'll be armed with tea, cakes and plenty of smiles, as we start on this road to beat loneliness in our community. Medway is known for its many community celebrations and festivals - Paint the Town included. What better way to shout about our brilliant history with festivals than with an unique dance showcase by the incredible performers from Dance Alley! After partnering with Dance Alley in Spring 2017, Paint The Town Festival is excited to be working once again with this brilliant local dance school. Expect a showcase paying homage to local festivals such as Sweeps and Dickens Festival and cultural celebrations like Chinese New Year. Babies under 18 months will need a 'babes in arms' free ticket. Dance Alley School has been open for 23 years and pupils have achieved 100% pass rate in all examinations including Vocational Teaching Qualifications. Pupils are actively encouraged to take part in auditions and shows and are frequently called upon to perform in Cabarets, Festivals and Displays around the Country. Dance Alley pupils have also performed on Kut-O Island, Hong Kong and visited Foshan, China in 2014 where they performed on Live Chinese TV and locally for Government Officials and Schools. A discussion about how to confront death and its practicalities through creative methods. With special guest Victoria Melody, writer and performer in Ugly Chief, a 5* theatre piece looking at the UK funeral industry and how to prepare for the death of a loved one. This private talk and discussion is aimed at groups and individuals working in end of life and funeral industries, social care and support, and creative groups or individuals who may wish to use their art to engage in discussion about traumatic events. For Paint the Town Festival: Season four, eight specially made little bouquets of flowers will be dotted around Medway as an act of kindness. These bouquets will be hidden in the towns as a free gift for you to take home and enjoy, if you are lucky enough to find them! Flowers are a wonderful way to cheer people up, so this is our little act of kindness and wellbeing for the people of Medway, and to say thankyou for all your support so far. Please get in touch if you find one of the lucky eight bouquets to let us know how they make you feel. All the details of how you can get in touch will be on the tags. Welcome to the fouth season of Paint The Town festival, brought to Medway by Lyrici Arts and Battersea Arts Centre. We're back for SPRING and focused on spreading a little bit of kindness, celebrating great local and national theatre, and getting all of Medway involved! Ugly Chief- a comedy based on true events performed by a real-life father and daughter. It explores the taboos around death and its practicalities, and the fractious relationship with a parent whose opinions you don’t always agree with. Festival of Festival - A Showcase like no other from the talented Dance Alley, looking at Medway's history of festivals and community events. Sponge - Roll, squeeze and pop yourself through a new, squishy kind of family show for 0-4 yr olds with a funky 1970s soundtrack including disco favourites The Hustle and Car Wash! Shakespeares Royal Company - As part of National Shakespeare week, the larger-than-life Bindlestick Theatre Company are back with a fun theatre workshop on the real Game of Thrones! Beached - The most perfect little puppetry show you ever did see! Take 10 minutes out of your day and immerse yourself in this beautiful show by local company StrangeFace! Loads more still to announce, so keep your eyes peeled!